The most anticipated Gadget this year is the iPhone, and it has already been clothed for protection, thanks to the good folks at Pacific Rim Technologies. 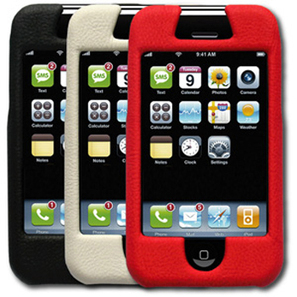 Made from synthetic leather and a hard shell case, the ishield will protect your yet to be-released $499 iPhone from terrible falls and scratches. Available in red, black and white, it features cut-offs for the camera, and buttons. $35.00 Pacific Rim Technologies also makes iShields for ipods, and other accessories for your portable gizmos. LEVI Launching a cell phone? Levi is mostly known for classic signature blue denim jeans, but it has decided to follow in the foot steps of other fashion power houses including: Prada, Gucci, Versace, and D&G. Yep!…Levi will be launching a cell phone next week in the fashion capital of France, Paris. Although the actual release date is in September. “I wonder if it will be encrusted in denim material.” Little is known about the specs of the phone, but it will feature a 2mega pixel camera, 1.8 inch screen, bluetooth capabilities, Mp3 player and a micro SD slot. A new mobile service, Phling lets you listen to music stored on your PC from wherever you may be. This is How it works: Download the software to both your mobile phone and PC. As long as your PC is on and connected to the Internet, you will be able to stream music to your cell phone. You can also see other Phling users who you share similar tastes in music with. Once you are connected to other users, you can listen to their music. Nokia's 5700 XpressMusic 3G Smartphone comes with an ionic twist design, that easily switches between this four modes: music player, 2 mega-pixel camera, video call, and smartphone. It features a 2GB Micro SD card that can store up to 1500 tracks, built-in stereo loudspeakers, uses bluetooth stereo headphones or 3.5mm plug equipped headphones, and supports the following file formats: MP3, WMA, AAC, MP4 and eAAC+. The Nokia 5700 XpressMusic also supports album art, playlists and is equipped with a 5 band equalizer and audio visualizations. 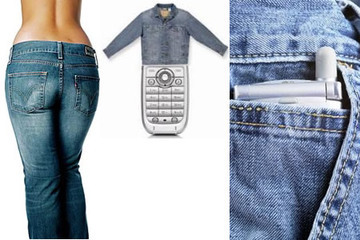 Philips has unleashed a cell phone that will cater to the ladies exclusively. The Philips 598 is a black clamshell phone with features like a women's diary and calender [whats so feminine about a calender/diary?.. ], buying list, price table, discount manager, personal card info, body weight index and BMR (basal metabolic rate) measurements. It also has the regular specs....1.3 mega pixel camera, 1.8" 262k color TFT display and Java support. I know one thing, ladies like various colors. So Philips better be planning to dip this phone in pink. Simple can be "unique" sometimes. Designer Lim Sze Tat concept cell phone and watch are simple yet they stand-out. The Dark Label Retroxis phone [picture here] is enclosed in a polished polycarbonate, it features OLED displays which silently disappear after the phone is inactive for sometime, this gives the phone a sleek look. The Dark Label Revol time piece [picture here] spots a rotating disc in place of the conventional hour and minute hands. It's also enclosed in the light, yet tough polished polycarbonate. I am not sure when we can expect this concepts to hit the market, if they go into production. 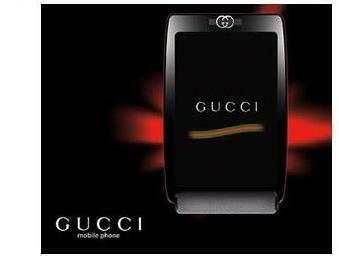 Just like fashion giants Prada, Versace, and D&G, gucci is unleashing it's own cell phone. There is no much info about it's features, but couple photos on Flickr have generated enough buzz around the phone. No word on who else is involved, or if gucci is solely behind the project. According to the photos, the phone looks like a touchscreen based phone. Ladies here is one gift you might not get till next Years Valentines Day: The LG Platinum which is the successor to LG's Chocolate phone. It features the same sliding concept and glowing red touch keypad, a platinum band has been added, and its memory is double that of the Chocolate. 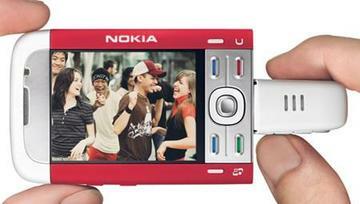 Other features include a 2 megapixel camera, an SD card slot, MP3, MPEG-4, AAC and Video capabilities. I don't think it's available in the US yet, but ladies if your man lives or can fly to UK before Valentines Day he can get one at: Carphone Warehouse. Sony has confirmed its two most rumored phones: the W880/W888 and W610. Based on its walkman phone-line, the W880/W888 is the slimmest Sony Ericsson phone to date. 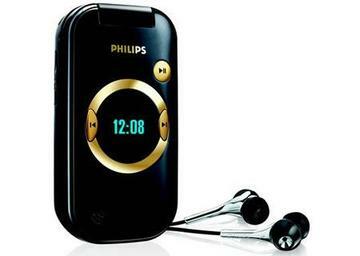 It features a 1GB Memory Stick Micro that can store up to 900 full length songs,and a 2.0 megapixel camera, all which are stored in a phone thick as a standard CD case. Despite the sleek stainless steel finish, the W880/W888 is available in silver, steel or flame black colors. According to the Press release, the W880/W888 will hit selected markets in Q1 2007. 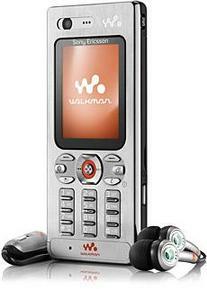 The W610 Walkman phone which features a 2.0 megapixel camera with auto focus, video recording and playback capabilities will be available in selected markets in the Q2 2007.